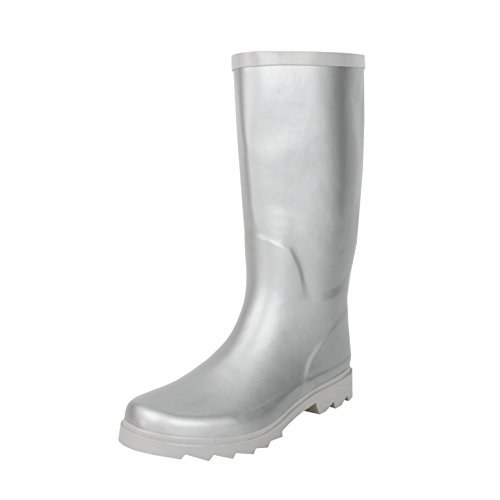 Make cloudy skies feel significantly brighter with dry feet. The products in this post were updated in July 2018. 1. 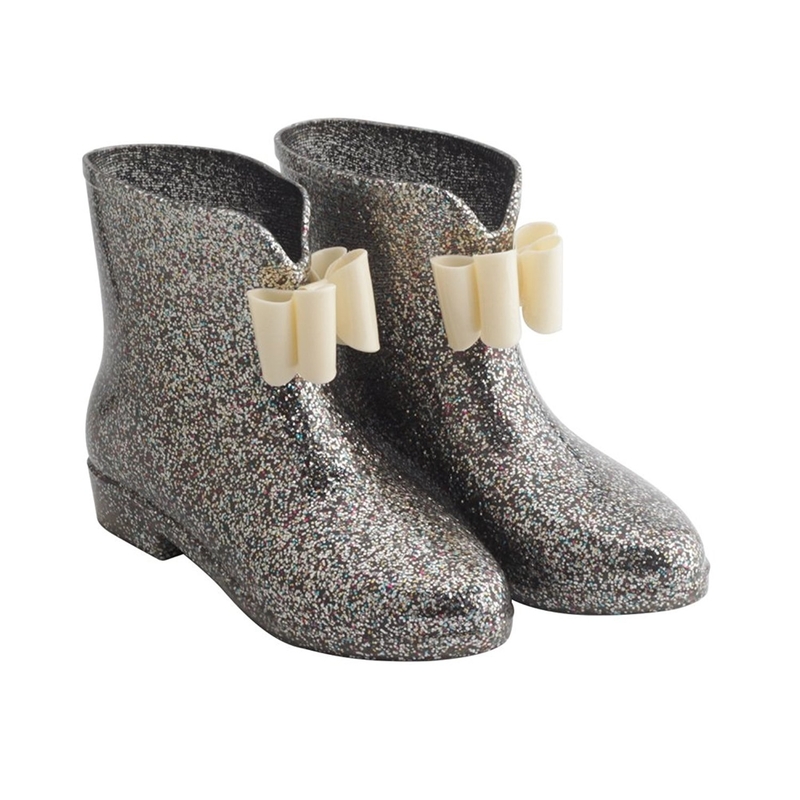 Sparkly lookers that may have strangers stopping you in the middle of a rain puddle to ask where you nabbed them. 2. Brights Crocs for a glimmer of cheer on gray, dreary days. 3. Majestic knee-highs (available in soooo many colors and patterns) at such a criminally low price, you can get a pair for each day of the week. For three weeks. 4. Striped sneaks to wear instead of actual rain boots, you're the type of person who'd typically rather walk around with soaked toes than wear boots. Isn't compromise lovely?! 5. 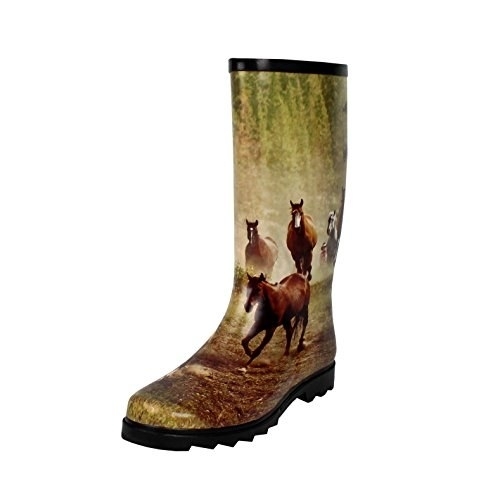 Sturdy footwear that'll take you from porch to chicken coop to field to wherever your soggy day takes you. 6. Leafy beauts with a loop in the back so you can easily step into them on drowsy morns. 7. Anti-slip booties that can more than pull their weight *and* your weight on slick sidewalks and tile floors. 8. Fierce heels worthy of sunny days, too. 9. Floral ankle grazers as a cheerful option when you're feeling totally blah about peeling yourself out of bed. 10. Classic dots as a timeless pick you'll never tire of. Never! 11. Buckled boots for making rainy day ensembles a total cinch. 12. Glossy Columbias with a riding boot-inspired silhouette nice enough to wear to the office — at least 'til you can change into dress shoes at your desk. 13. Floral stripes perfect for someone who isn't afraid of mixing and matching patterns — truly ones of life's underrated pleasures. 14. Olive laceups so you can pack light for your next adventure. 15. Gingham gems that'll make getting dressed for rainy days feel like a picnic. 16. Sorel wedges you can all but run in because they're so damn sturdy. I have them in red (which is sadly sold out on Amazon), and I get sooooo many compliments when I wear them. Check out my full review here. 17. Muck Boots in a happy color combo to put a lil' pep in your step. 18. Fishing galoshes lined with neoprene in case tumultuous waves try to get in between you and the big catch. 19. 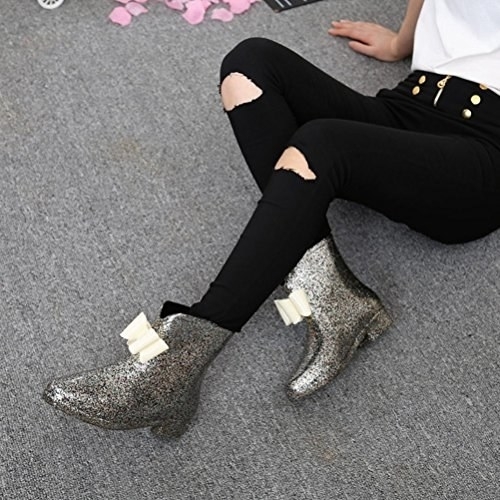 Combat boots to help you in your sodden war against Mother Nature. 20. Saturated shine they'll see coming from a mile away. And that's *exactly* how you'd prefer it.